Research has shown that Black people are 20 times more likely than other ethnic groups to develop heart failure before the age of 50, and they are more likely to be hospitalized or die from heart failure than White Americans. Earlier this month, Arbor Pharmaceuticals, LLC partnered with Shaquille O’Neal to help shift those dangerously high numbers. 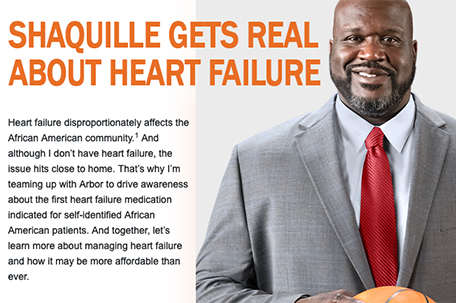 The recently launched “Shaquille Gets Real About Heart Failure” campaign, a national educational initiative was designed to raise awareness around the heart failure disparity in the African American community and ways to manage this condition. 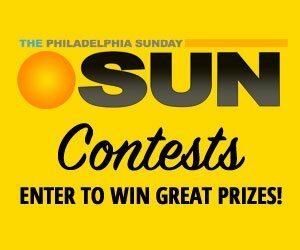 Although he’s never had heart challenges himself, Shaquille O’Neal (Shaq), recognized around the world as a Basketball Hall of Famer, is using his powerful platform to help spread the word that every African American needs to take this disease seriously. According to www.ShaqGetsReal.com, the campaign’s website was created to provide answers to African American heart failure patients and healthcare providers, an educational video series featuring Shaquille O’Neal and details about the Shaq BiDil Access Program. The Shaq BiDil Access Program brings together a set of savings options that ensures reasonable access to the treatment, BiDil (isosorbide dinitrate/hydralazine hydrochloride), the first heart failure medication indicated for self-identified African American patients with heart failure. BiDil is a vasodilator that boosts the supply of nitric oxide. Nitric oxide causes vasodilation, which widens and relaxes blood vessels in the body. Due to socio-economic factors and cultural differences, disease disparities between people of different ethnicities continues to gather interest and support from the medical community. For example, the American College of Cardiology and the American Heart Association recently published guidelines on cardiovascular risk factors, encouraging healthcare providers to consider ethnicity when determining risks and treatment options.